Jasmine Mobile Turner Maine is a seasonal Food Truck Food Stand located in Turner Maine. 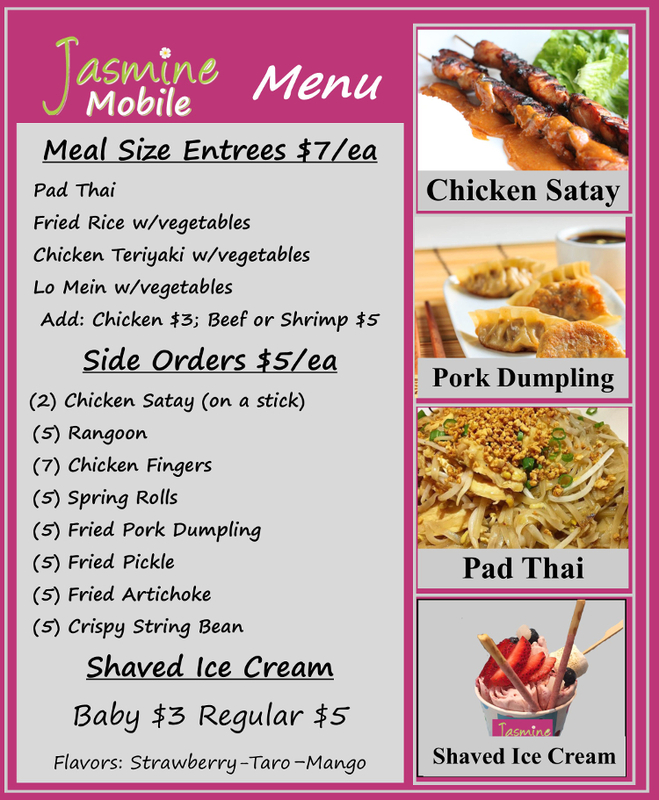 Serving Pad Thai, Chicken Satay, Chicken Fingers, Fried Rice, Bubble Tea and More. Outdoor Picnic tables to dine at, or take to go.